Chinese-made smartphones are all over the market. They are cheap, quite durable and many major American firms have manufacturing plants setup in China to cut costs. However there is growing concern towards these mobile phones in America and India over the security of these Chinese made telecommunication devices. Recently the US Government has expressed concerns over China’s state sponsored attempts to hack into other government’s networks. India had already filed a complaint against China after one of its network was compromised. The Governments have expressed concern over shipments of smart phones that may act as backdoors for the Chinese government. India has already made a move to obstruct orders of Chinese telecommunication equipment. However this has resulted in some setbacks that have cost billions of dollars of lost revenue to the global telecom markets and project delays for India. A senior analyst said, “The US shares similar concerns, any foreign made equipment can represent a significant security risk where sensitive information can be passed on to the government through firmware backdoors which are not hard to implement”. Last week a group of senators had asked the Obama administration to review a bid from the Chinese company Huawei Technologies to supply telecommunications equipment to Sprint Nextel and expressed their concerns regarding espionage. Any such gear with backdoor firmware if it were to enter such a network would be disastrous for the US. While the US is reviewing the bid, Huawei and another Chinese company ZTE have already been blocked in India since mid-February. iSuppli reported that the telecom market is set to rise to $85 billion by 2014 and stakes are high if China does not reassure the world of its intentions. Increasing concern over espionage and hacks have already made many companies walk away from China. While India started requiring all equipment purchases to have government approval, other countries will follow suit. To avoid direct trade conflict India never acknowledged about the ban but rather put the orders on “indefinite hold”. The India’s Economic Times reported that a total of 450 orders were put on hold worth $2 billion by the end of June. Only 27 were approved which were made by Western vendors such as Alcatel-Lucent, Ericsson and Nokia Siemens Networks. It was also reported that India’s state-run telephone company BSNL announced that Huawei and ZTE would be excluded from bidding on a $500 million GSM expansion project. These fears were never new and are only fueled by increasing demand and production of smart phones. 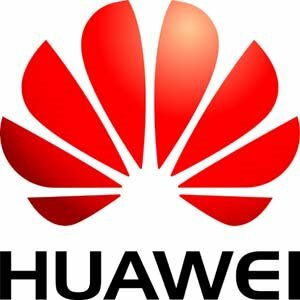 A 2008 Pentagon report to Congress reported Huawei’s links to the Chinese government. Huawei also attempted to acquire 3COM, 2Wire, and Motorola’s wireless unit have all been denied by a US government veto due to concerns over security. It was reported today India has relaxed the ban on Huawei and ZTE after both the firms agreed to hand over proprietary information including the firmware blue-prints and its source code to the government and also agreed for heavy fines if such a breach were to be found. Next ToothBrush Cleans with Solar Power, Not Paste!